Deep cleansing purifying clay mask for oily prone skin. Benefits:Helps to reduce localized blemishes. Pleasant fragrance tolerated by sensitive skin. 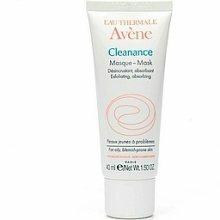 AvÃ¨ne Thermal Spring Water to soothe and soften skin. Hypoallergenic and non-comedogenic.